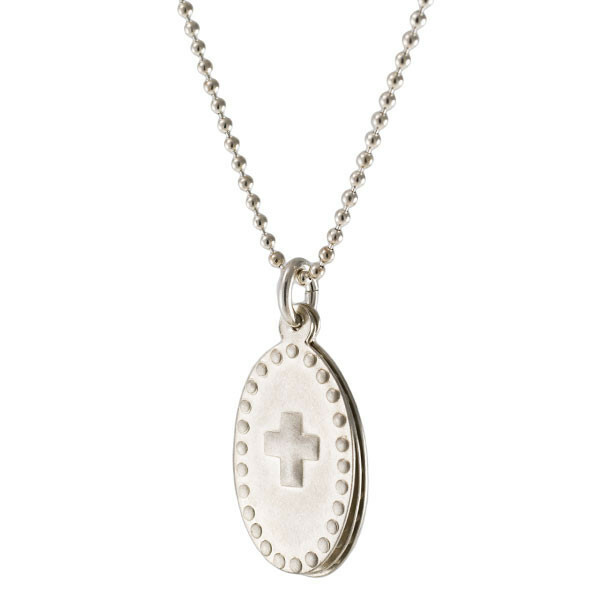 All three symbols hang on this necklace: cross, heart and anchor. 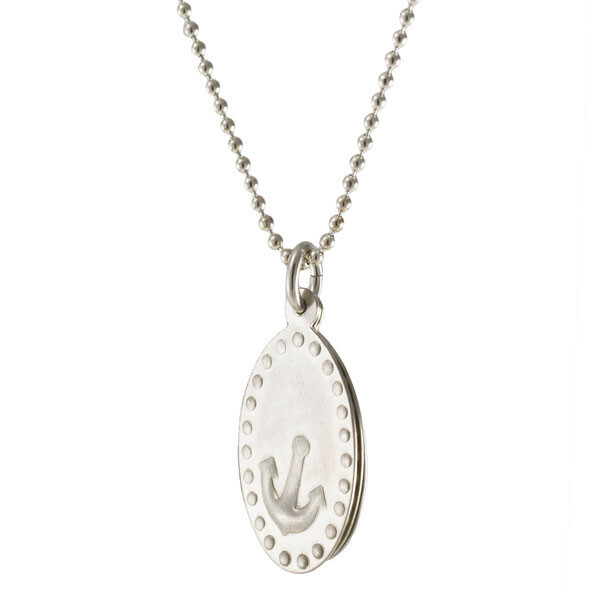 Each sterling silver sheet is hand-minted, turning out slightly different in this process, which makes them unique. Depending on mood and occasion a different symbol can be worn in front. 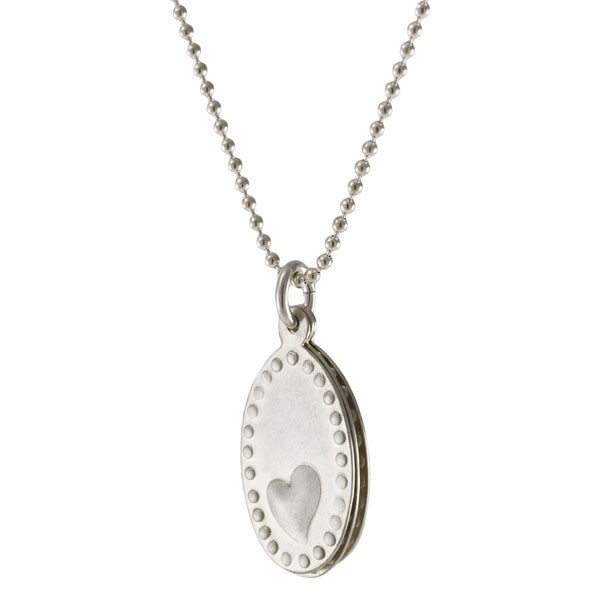 The oval pendant comes on a silver ball chain, clasped by a carabiner.